Sitting in the home of Van and Marge, talking about Swedenborg, religion, mysticism, God, was the most holy experience I have ever encountered. It was not Van directly sharing his spiritual thoughts, it was Van truly being with whomever he was talking to, asking pertinent questions, probing the other’s spiritual experiences and commenting on them. He was the consummate therapist, friend and spiritual director. Van told me everything he had ever written began with his own questioning. He called himself a spiritual scholar and his papers were written to himself. If it answered his question at a deep level, he could make things clear for others. He often found his answers while sleeping. When he went to bed with a question on his mind, often in the middle of the night the answer would come. He would get up and write it down and the next morning it was clear. One special evening, Van shared about his gift of tears. He asked God for a sign that he was onto the Truth. He got his sign, uncontrollable tears when something he said or intuited was truth. He added with a laugh that it was not exactly what he would have preferred because people get anxious when someone cries. It interfered with his ability to lecture, as people would get uncomfortable. But there it was, not only for him to know but for everyone around him to experience, the Truth that was given to him. Rev. 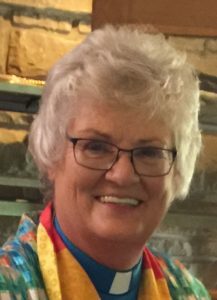 Jane Siebert is the current president of the Swedenborgian Church of North America. She lives in Pretty Prairie, Kansas, and enjoys the opportunities to visit Swedenborgian churches scattered around the United States and and Canada. What lovely memory to have. I nearly visited Wilson Van Dusen going to a gestalt conference in the 1990’s but didn’t. I wish I had. I wrote to him several times and each time he replied. As you say he “opened the Writings of Emanuel Swedenborg to many and thats exactly what happened for me. In the 1980’s I had bought a whole lot of Gestalt books (i’m a gestalt therapist) and knew Van Dusen in that way so without overly straining my Visa card, I bought his two books as they were inexpensive – and so discovered Swedenborg. In 2004 I eventually became a Swednborgian minister here in Australia but continue to work as a psychologist and try to link Swedneboirg’s work with psychotherapy – not everybody’s cup of tea. I am currently re-reading Emanation to Source and greatly appreciative of the writing.